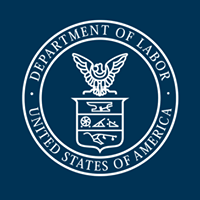 The Department of Labor (DOL) today issued a final rule expanding the definition of employer under the Employee Retirement Income Security Act (ERISA) to enable the formation of Association Health Plans (AHPs) that can span cities, counties and states. Phase-in begins on Sept. 1, 2018. This document contains a final regulation under Title I of the Employee Retirement Income Security Act (ERISA) that establishes additional criteria under ERISA section 3(5) for determining when employers may join together in a group or association of employers that will be treated as the “employer” sponsor of a single multiple-employer “employee welfare benefit plan” and “group health plan,” as those terms are defined in Title I of ERISA. According to the DOL, this reform will allow small employers – many of whom are facing much higher premiums and fewer coverage options as a result of Obamacare – a greater ability to join together and gain many of the regulatory advantages enjoyed by large employers. Under the department’s new rule, AHPs can serve employers in a city, county, state, or a multi-state metropolitan area, or a particular industry nationwide. Sole proprietors as well as their families will be permitted to join such plans. In addition to providing more choice, the new rule makes insurance more affordable for small businesses. Just like plans for large employers, these plans will be customizable to tailor benefit design to small businesses’ needs. These plans will also be able to reduce administrative costs and strengthen negotiating power with providers from larger risk pools and greater economies of scale. The rule includes several safeguards. Consumer protections and healthcare anti-discrimination protections that apply to large businesses will also apply to AHPs organized under this rule. As it has for large company plans since 1974, the Department’s Employee Benefits Security Administration (EBSA) will monitor these new plans to ensure compliance with the law and protect consumers. Additionally, States will continue to share enforcement authority with the Federal Government. The Congressional Budget Office (CBO) estimates that millions of people will switch their coverage to more affordable and more flexible AHP plans and save thousands of dollars in premiums. CBO also estimates that 400,000 previously uninsured people will gain coverage under AHPs. The new rule does not affect previously existing AHPs, which were allowed under prior guidance. Such plans can continue to operate as before, or elect to follow the new requirements if they want to expand within a geographic area, regardless of industry, or to cover the self-employed. New plans can also form and elect to follow either the old guidance or the new rules. In October 2017, President Donald J. Trump issued Executive Order 13813, “Promoting Healthcare Choice and Competition Across the United States.” The Executive Order called for the Secretary of Labor to consider expanding access to health coverage by allowing more employers to form AHPs. The Department used its delegated authority under the Employee Retirement and Income Security Act of 1974 in developing this regulation.